Yesterday Mitsubishi and Nissan signed a deal that would see Mitsubishi getting Nissan’s Infiniti M and re-badging it for the Japanese market (but according to Mitsubishi, it’s not going overseas). The interesting part of this deal is that in return, Nissan wants the Mitsubishi Minicab-MiEV in return. The Minicab-Miev is an all electric commercial minivan based on the same technology as the Mitsubishi i-Miev. The Minicab-Miev comes with 2 battery pack options – a 10.5Kwh that gives a 100km range, or a 16Kwh that gives about 150km of range. 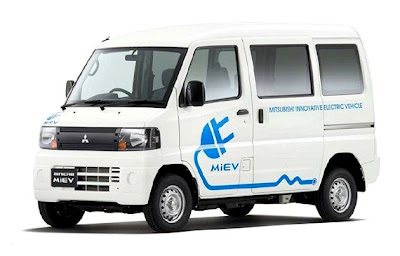 Although the vehicle is only available in Japan, Mitsubishi began taking orders for it’s Minicab version of the Mitsubishi i-Miev on April 1, 2011. Mitsubishi is planning to have it hit showroom floors in late 2011.